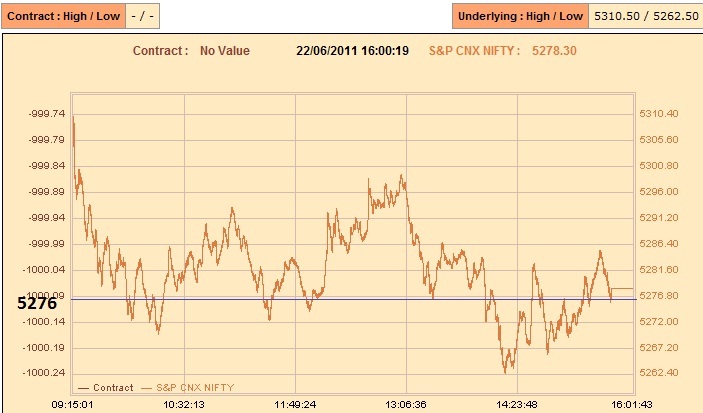 Another gap up and markets without retracing made a close above 5600 levels after two months yesterday. PCR has moved to 1.10. 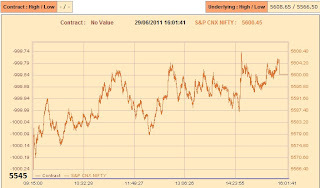 5500 and 5600 put added 18 lakhs and 28 lakhs in OI and on the call side 5700 call added 28 lakhs in OI. Though the turnover in 5600 call was huge, the change is OI is just 4 lakhs. Nifty has been mostly hovering in a premium of 5 to 6 points towards the end of the series and though the IV of 5600 put is around 18 much less than that of 5600 call around 24, the expectation is still that markets will be pushed to higher levels for the expiry. 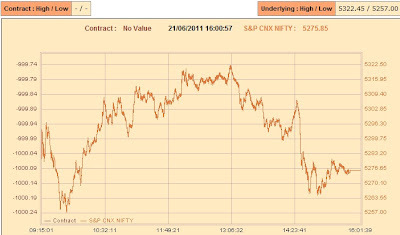 Today being the expiry day, Nifty is likely to open around 5620 levels and remain in a tight range, before bulls can charge again and take it for a close around 5685 levels after testing above 5700 levels momentarily. The expectation is that markets may not dip below 5584 levels for the day. Only on a move below 5558 will be bearish for the market but it is highly unlikely to happen today. Yesterday markets saw swings in and around the previous close of 5527 levels and finally closed at 5545 slightly above the previous close. PCR increased to 1.08 which is still neutral. Increase in OI was seen in all the near strike puts and also in the ITM put of 5600 of 5 lakhs which increased in the last 30 mts of trade. There was mild increase in OI in near strike calls also. Overall it looks like any move above yesterday’s high of 5558 will be extremely bullish for the series. A test of 5605 and above levels and a retracement for the day and then bulls might be able to charge markets further higher for the expiry tomorrow to levels of 5685. Are we heading for a 5685 close for the June series ?! After the powerful move on friday, markets continued the uptrend and bulls were able to charge right from the low start yesterday and close the markets at a strong level of 5525. The OI in near strike puts and also ITM strike of 5600 increased by a large amount yesterday. The PCR is neutral at 0.99. 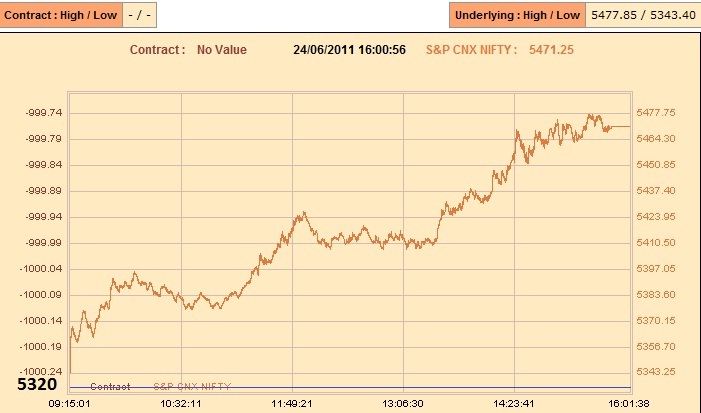 It looks like bulls still have the power to push the markets up for this expiry to the level of 5685. 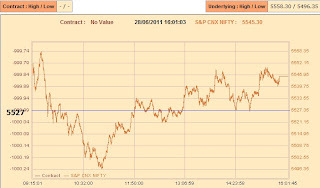 There might be a retest of the series high of 5605 in today’s session and then a consolidation around 5530-5550 levels. Yesterday markets saw a rally after a consolidation from the heavy fall of more than 2% on 2oth June. PCR has mostly remained under 1 for the series and moved to 0.96 from 0.8 levels yesterday indicating slight bullishness and mostly nifty has been trading in premium. 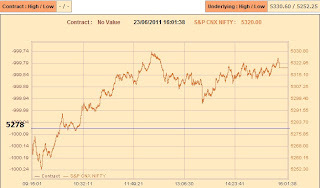 5280 has acted as an important level during the consolidation in the past two days and it looks like bulls might now be able to push markets beyond 5300 levels and also test the crucial resistance at 5420 levels in the coming sessions. Overall there is a strong chance of markets retracing to 5280 levels again after that and close the series around 5350 levels.